We offer a wide range of services to the electronics industry from R&D, PCB design, manufacturing to "off the shelf" products. Use our dedicated modules to obtain that vital alarm information sent straight to your cellphone or base station. 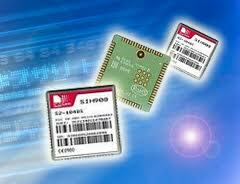 Using standard data only SIM cards you can monitor - flow, pressure, temperature, humidty, intrusion. The list of variables to be measured is almost limitless. Our standard unit have 5-inputs and 2-outputs and our new units are 10-inputs and 4-outputs. These will become our new standard as we can keep costs to a minimum. The same unit can be used using GPRS technology and have your remote field application provide data on the network 24/7. 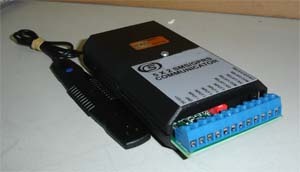 A permanent connection means "real time" data on your PC or monitoring station. Fallback to SMS is also possible. If you require GPS co-ordinates to be sent with your industrial data we use the world renown uBlox-5 system. Trying to find an off-the-shelf product but cannot, or the one you find does not quite meet with your specifications. We can develop a system for you, tailor-made to suit your application. From small projects to major design work we can also develop a PCB for your project. Having designed the PCB for your project we can also manufacture for you, sourcing all the components ourselves or have you supply them. 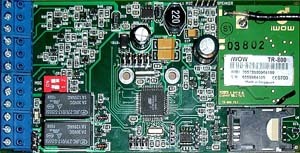 Once we have identified that your project has merit and can be produced without huge expense we then design the PCB and the micrcontroller code to produce prototypes and/or bulk manufactured units. Shown is a Microchip PIC18F26K20 microcontroller based SIM900 GSM/SMS PCB with 2 x analog inputs and 4 x digital inputs.